There is something within all of us that wants to be a hero. We want to ride in on the white horse and rescue whoever it is that needs rescuing. 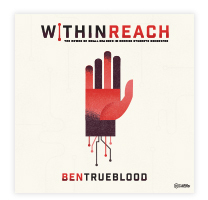 As student pastors, this mindset can motivate you to many positive actions, but if left unchecked it can have a devastating affect on your ministry. This “hero complex” is the reason why some student pastors would unintentionally, or maybe intentionally, decide to approach parent ministry with an unfortunate skepticism. 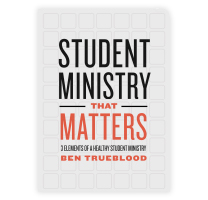 There are many who equate their success and value in ministry to the number of students who see them as the hero. Each time a crying student needs consoling, a confused student needs advice, or a struggling student needs a fix for their problem the student pastor mounts the white horse and rides to the rescue. Because of this there are some who would avoid fully developing a parent ministry because they fear losing the opportunity to be the hero. They think if they aren’t the ones riding to the rescue, then they aren’t needed, aren’t valued, and aren’t successful. When we allow these feelings to drive the direction of our ministry we will subtly build within our students an unhealthy dependency on the short-term disciplers in their life. A much healthier model of discipleship is to become an active discipler of parents and then shine the spotlight on them as the heroes. In reality, if you break the mold you will only be with your students for a few hours each week for six years. 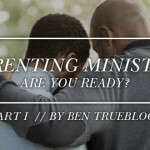 We cannot say that parents are the primary disciplers and then organize the ministry to make ourselves the heroes. 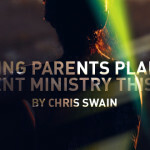 Setting up the parents in your ministry to be the spiritual heroes is a more sustainable and healthier long-term discipleship model. This doesn’t mean that you as a student pastor aren’t needed. You are. Your role in the church and in the spiritual development of teenagers is crucial. What it does mean is that there might need to be a shift in your mindset as it relates to parents. 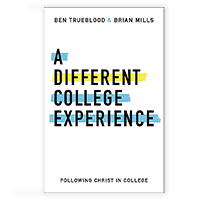 When you become a discipler of parents, and by doing so equip them to disciple their children, the parents will see more clearly the value that you and student ministry bring to the table. You will also begin to see their support and passion for student ministry grow. It is in this moment that the partnership between student ministry and the home begins to reach its full potential.